This tough but exhilarating Lake District walk tackles Scafell Pike and Scafell - the two highest summits in England - but avoids the crowds. This is a serious route that involves some short but steep scrambles that cannot be bypassed especially on Piers Gill. 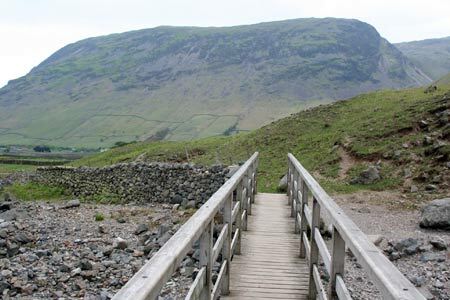 This guidebook contains 57 short half to full-day walks in the northern Lake District. Walking areas include Borrowdale, Newlands, Bassenthwaite, Thirlmere, Ullswater, Haweswater and the area north of Keswick up to Caldbeck. Part of a three-volume series, and predominantly focusing on low-level walks between 2 to 9 miles, and graded for difficulty.